Distance sensing can open up limitless opportunities when it comes to project building. 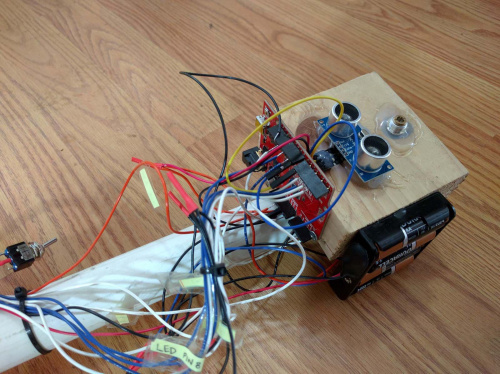 From assistive tech to experiencing echolocation like our dolphin friends, we've collected some of the coolest distance sensing projects from the maker community! One extremely exciting use of distance sensors is as a visual aid for visually-impaired individuals. 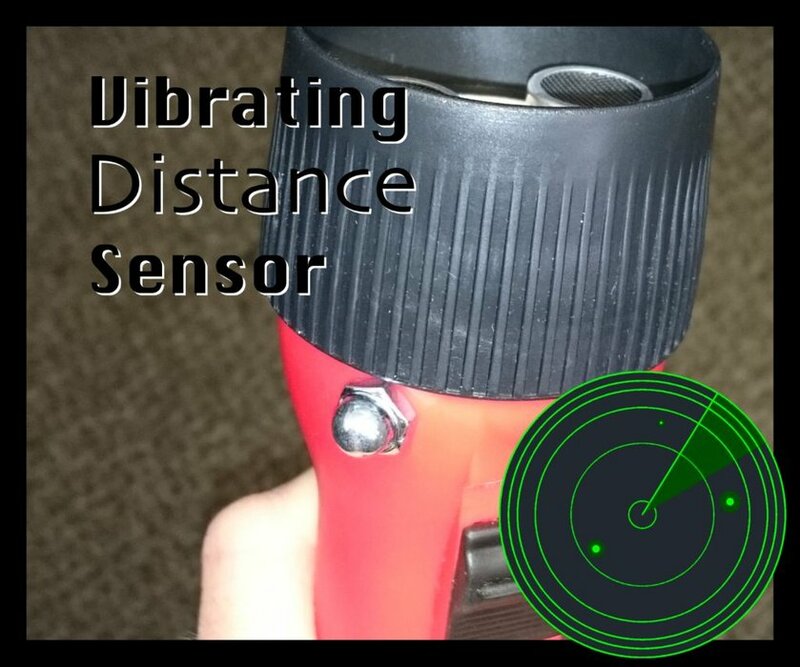 With the Vibrating Distance Sensor, the user holds a flashlight embedded with a distance sensor, vibration motor and Arduino, and points it forward. When the distance sensor catches an object in the user's path, it will provide haptic feedback to let the user know. This distance sensing box is designed to help you measure distance across the walls of your home or office. This can help greatly with hanging photographs, shelving, artwork and other wall decor. It's such a cool DIY solution for measuring space! 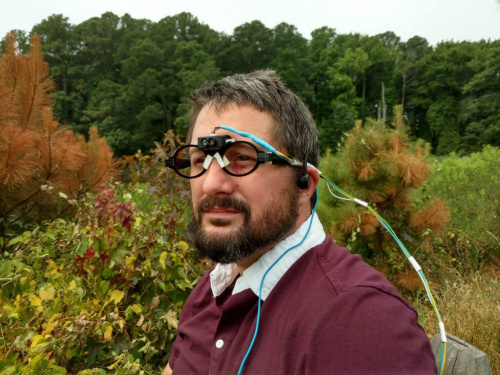 This incredibly creative project by deep sea ecologist Andrew David Thaler allows users to experience vision like a dolphin. While dolphins have amazing eyesight, they also use echolocation to navigate their way through the deep seas. This biomechanism is in the dolphin's jaw, where it creates a clicking sound. Vibrations are then sent back to the jaw based on objects in the vicinity, letting the dolphin know what's up. This project uses a LIDAR sensor and small speakers on wearable glasses to send vibrations to the human ear and head, similar to the experience of dolphins! Just in time for the spooky season, we have the screaming cauldron - a fun project to add a little extra 'AHHH' to your Halloween. This candy filled cauldron for trick-or-treaters is embedded with a distance sensor and microcontroller so that when candy is taken, a scary scream is played! This is bound to shock and delight trick-or-treaters. Get ready to be known as the spookiest house on the block! Holy smokes, it has been a long time since I've played bocce ball, which may be why I was so delighted with this project. For those unfamiliar with the game, the aim of bocce ball is to get your colored ball as close as possible to the pallino, or target ball. The distance measurer for bocce ball takes away all the guess work and makes sure you'll always know for sure whose ball is closest. The fabrication of this project makes it super easy to check the distance at ground level while still standing upright because of the handy, cane-like configuration. A display up top will let you know the results, so you can be sure that your bocce ball games will forever be fair! Long gone are the days of hanging a tennis ball in your garage for perfect parking. Now you can make your very own digital car parking assistant using an Arduino and distance sensor. I love a good home automation project because they always address a real problem. I will absolutely be making one of these when I eventually have a house and garage. How about you? I have seen a good number of DIY robots over the past few year, and PopPet may be the most adorable one yet. 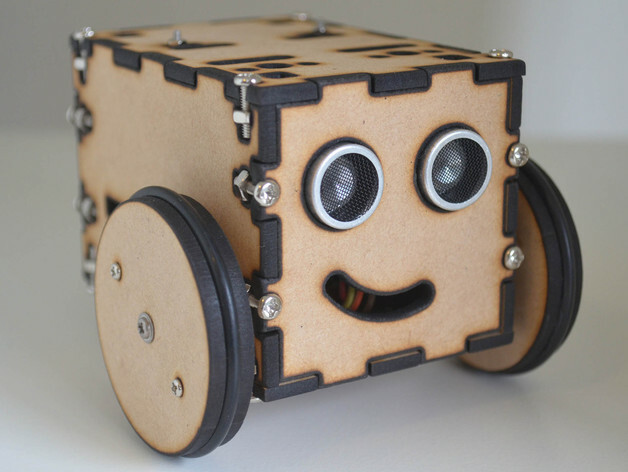 This little dude is full of character and is designed as an educational tool for all ages. Full, open source plans are available for you to get started with your very own PopPet, which include several different faceplates to express different personalities and moods! I hope you found these projects as inspiring and exciting as I did. Finding these projects has certainly piqued my interest in distance sensing, and I'm excited to start using LIDAR and ultrasonic sensors in my projects. Let us know your thoughts in the comments below! I've thought about going back and making it a module so people can more easily incorporate it into their projects as I've gotten lots of interest and comments over the years.